Audi is targeting its German rivals with class-leading BIK tax from a new low-CO2 diesel engine. Making its debut in the A6 saloon and Avant range, the new 2.0 TDI Ultra produces 190PS, and offers CO2 emissions from 114g/km, 5g/km lower than its nearest rival. The engine replaces the current 177PS 2.0 TDI in the A6, and with the optional S-tronic dual-clutch automatic achieves CO2 emissions of 114/gkm in saloon form. The manual version produces 117g/km. This is up to 18g/km lower than the outgoing engine, which produced CO2 emissions of 132g/km for the Multitronic auto and 129g/km for the manual. It also results in reduced BIK tax payments compared with the ougoing version, as well as an advantage over rivals. It puts the A6 Ultra S-tronic in the 17% BIK tax bracket, compared to the 20% the Multitronic sits in today. From April, these tax bands will increase to 18% and 21% respectively. 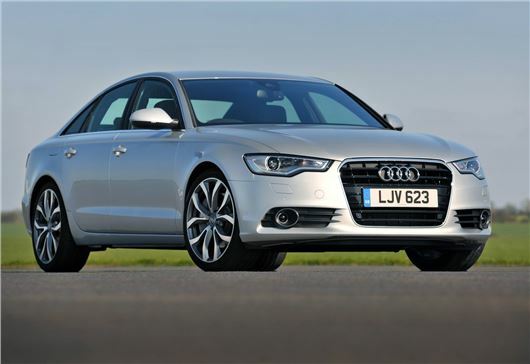 This equates to a total annual charge for a 40 per cent tax payer of £2,380 – one of the lowest liabilities for a conventionally powered premium executive class car. It also gives it the edge over the BMW 5 Series. The 184PS 520d SE auto emits 119g/km, with fuel economy of 62.8mpg, putting it at both a power and efficiency disadvantage when compared to the A6. Later this year the new A6 2.0 TDI ultra will be followed in the UK by ultra versions of the A4, A5 Coupé and A5 Sportback with CO2 emissions from 104g/km.